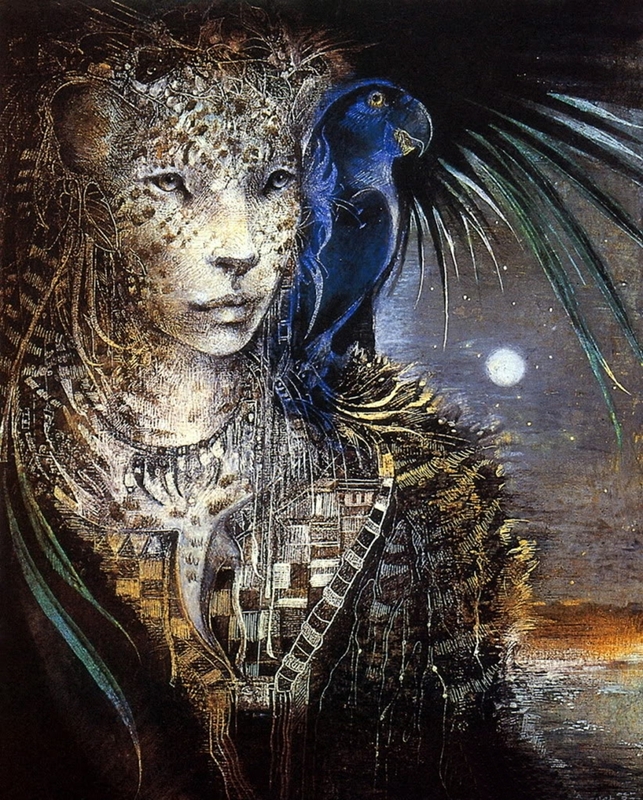 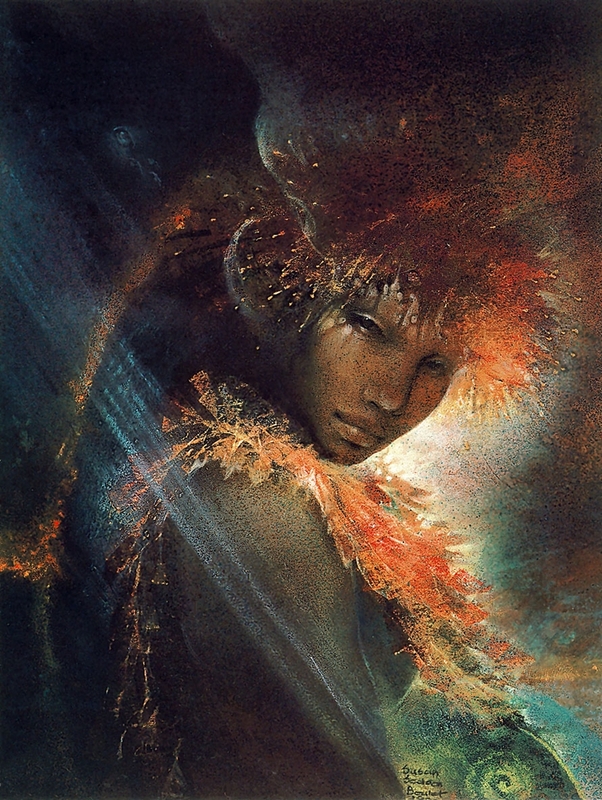 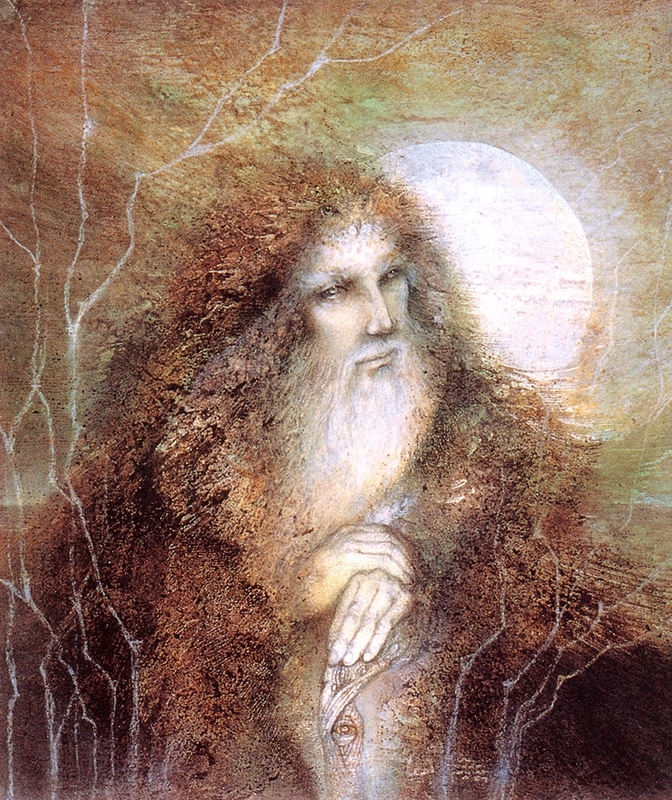 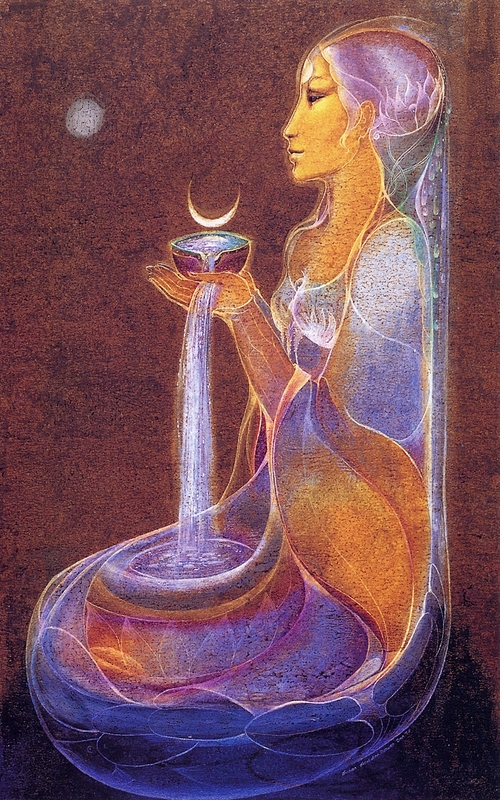 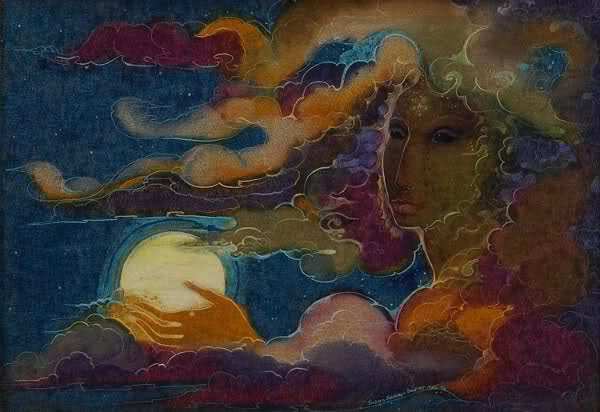 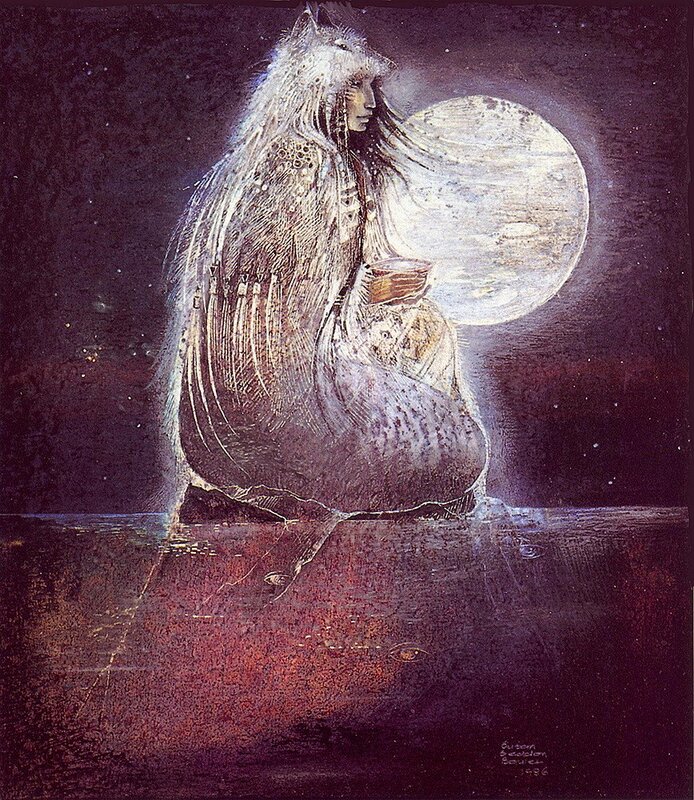 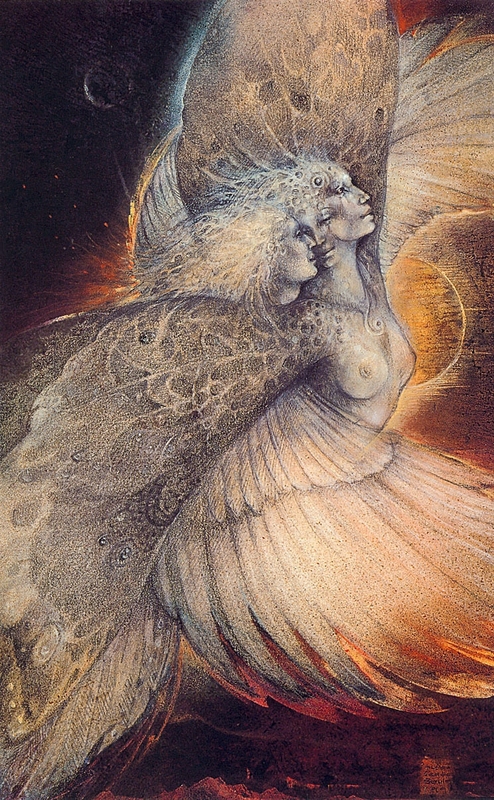 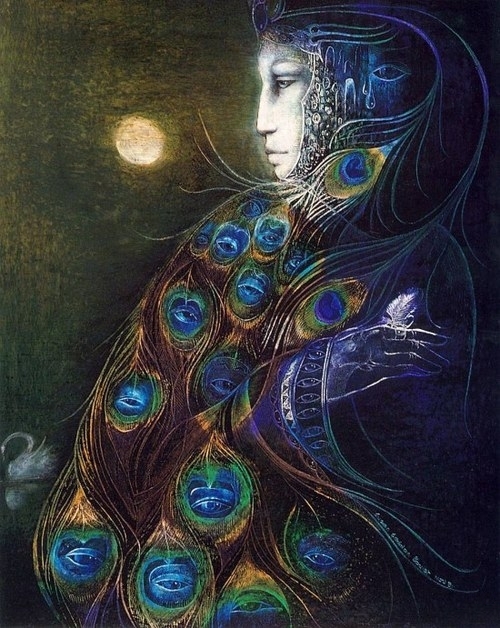 Susan Seddon Boulet (1941-1997) Brazilian-born American painter*, was born in Brazil of British parents who had emigrated from South Africa. 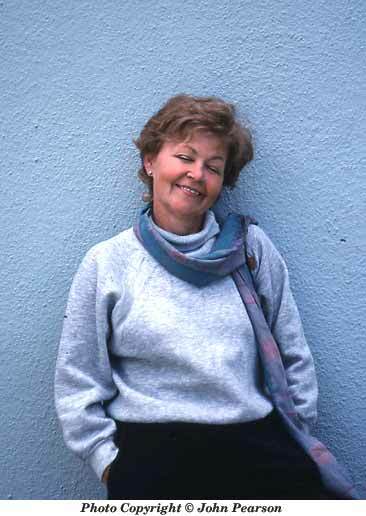 Ms. Boulet's early childhood was spent on a large citrus and cattle ranch. 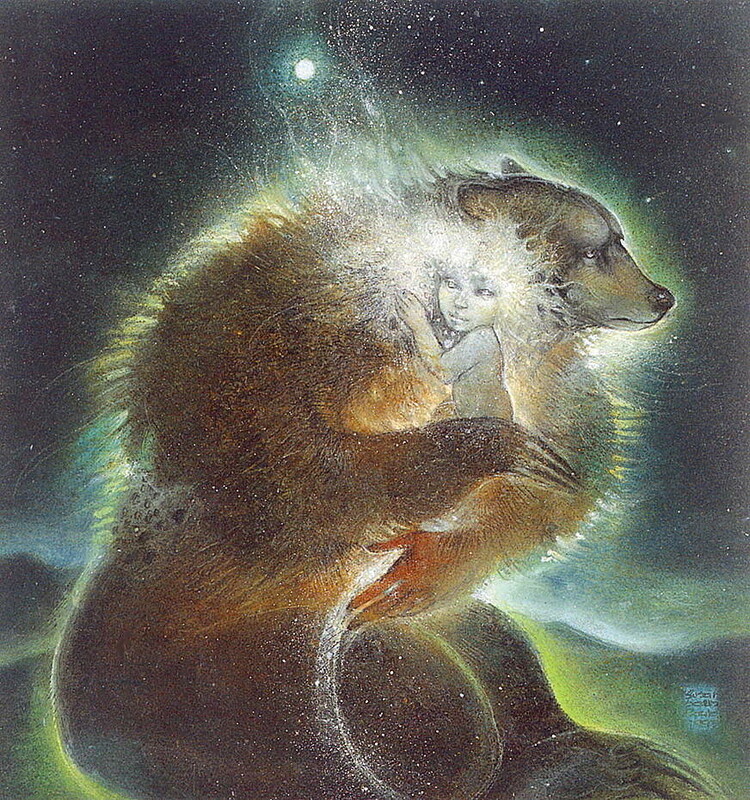 She loved the connection to nature offered by farm life and enjoyed a rich fantasy life fed by folk tales told her by her father and by the farmworkers. 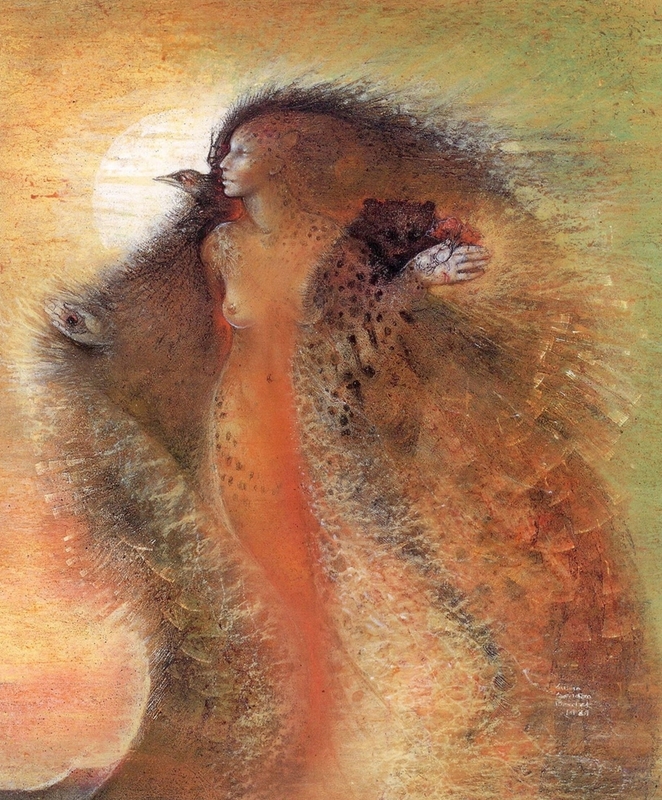 Encouraged by her father, she began drawing; her first subjects were the cows and horses of the farm. 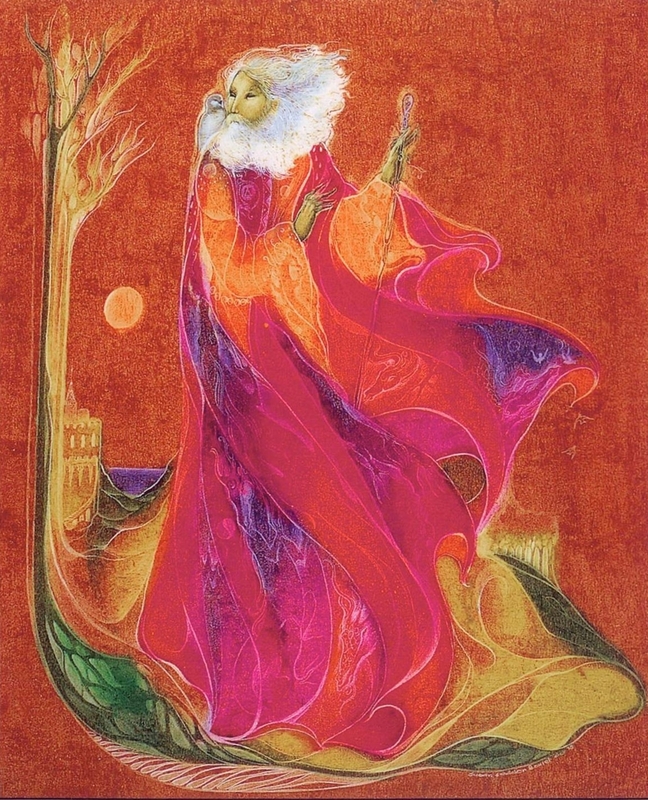 While Boulet took art classes off and on during her life, beginning in her finishing school years in Lusanne, Switzerland, she never studied art formally. 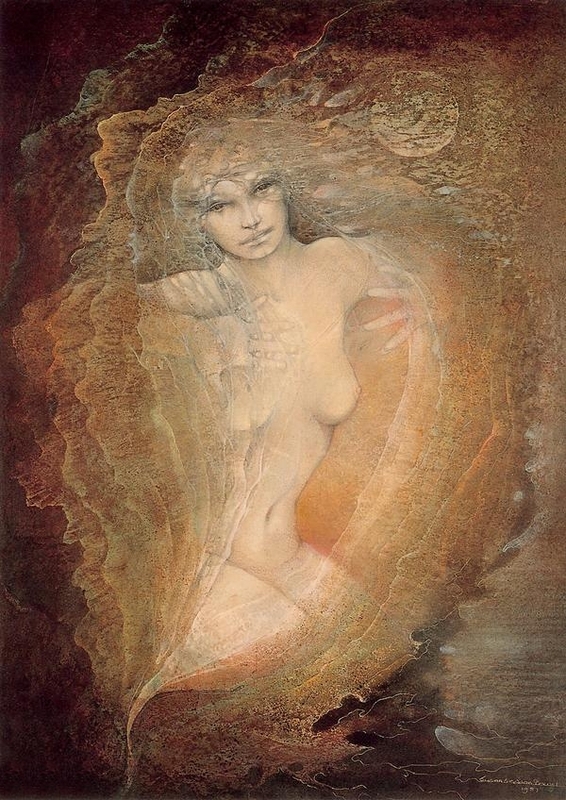 She said, in fact, that she never planned on becoming an artist, the vocation came to her as by accident. 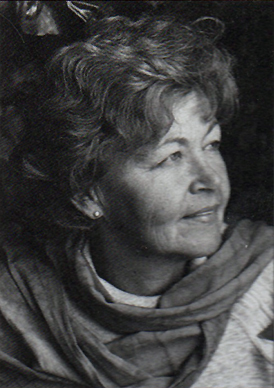 Boulet came to the US in 1967 to work for Braniff Airlines. 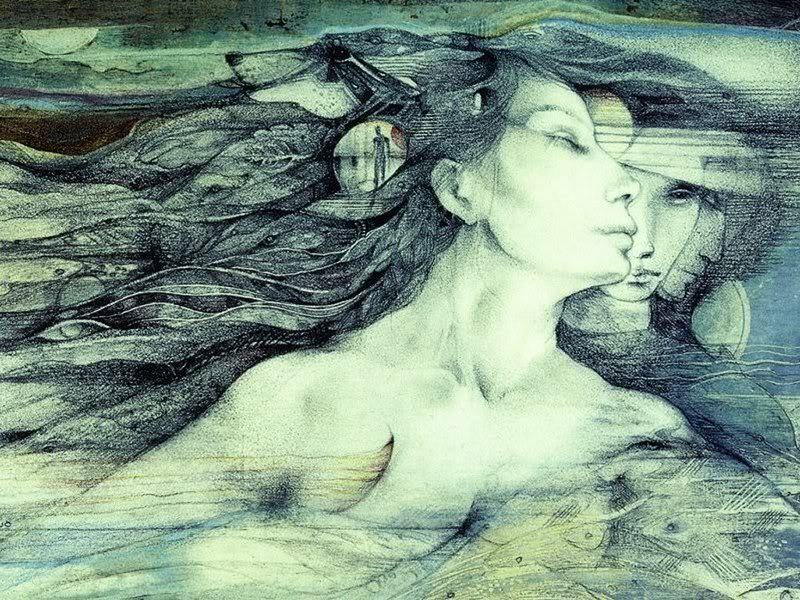 It was also in this year that she met and married Lawrence Boulet, who inspired Susan to invest herself seriously in her art. 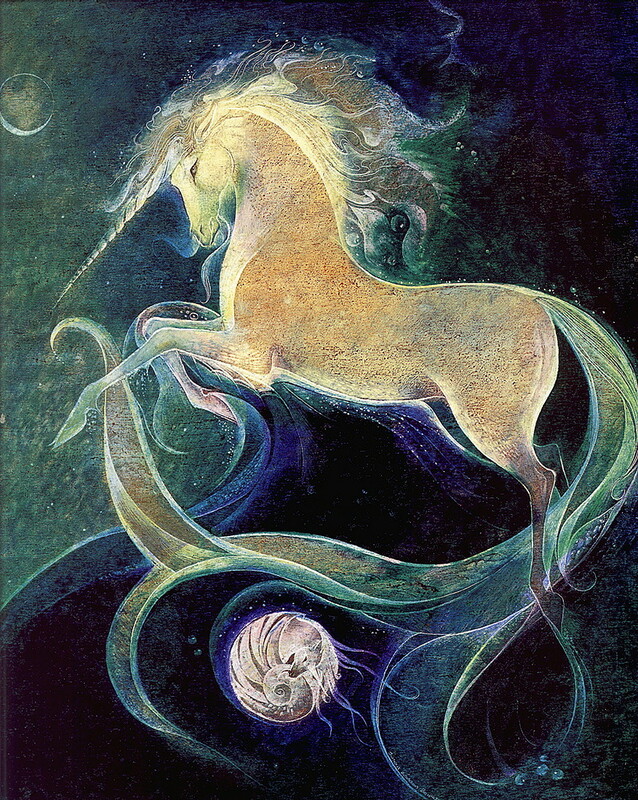 Boulet credited the birth of her son Eric, in 1969, with freeing her creativity, saying that Eric "somehow freed the child in me; gave me permission to enjoy fantasy, gave me permission to do unicorns and dragons". 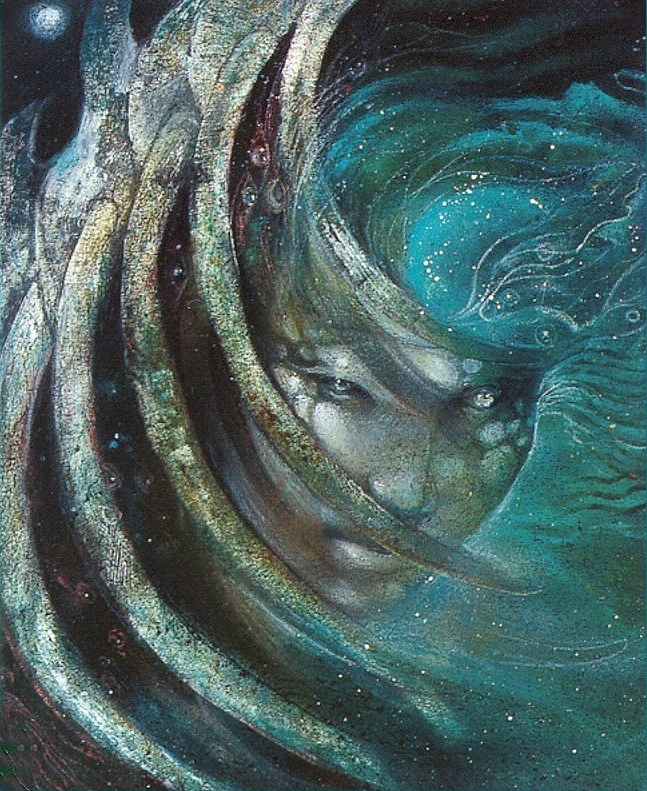 Boulet began selling her art in 1970. 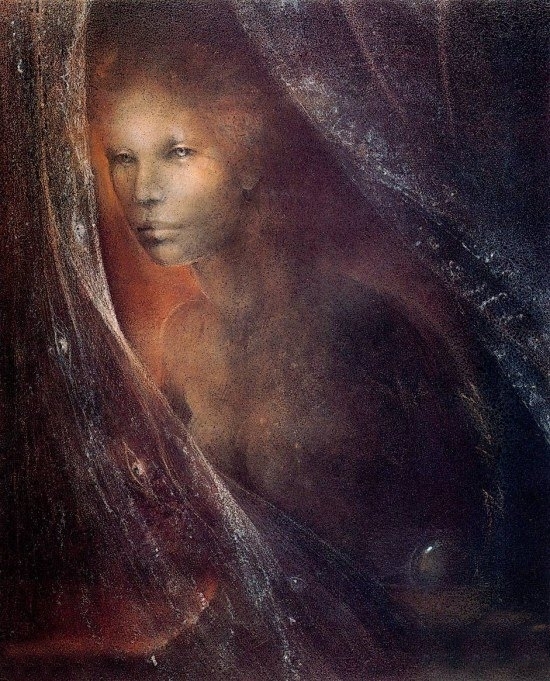 By 1972, aided by her husband who managed all nonartistic aspects of her career, she was supporting the family. 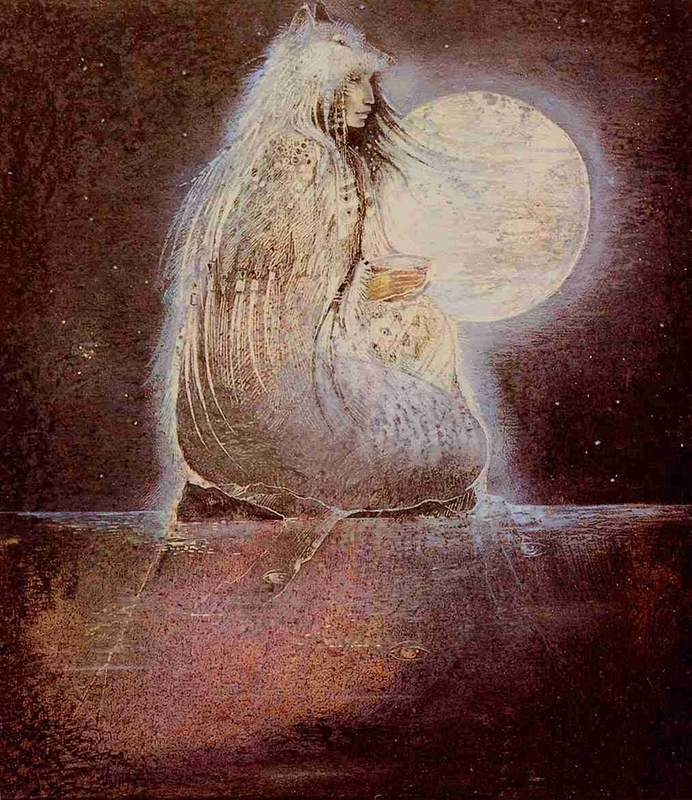 In 1980 her husband died of cancer. 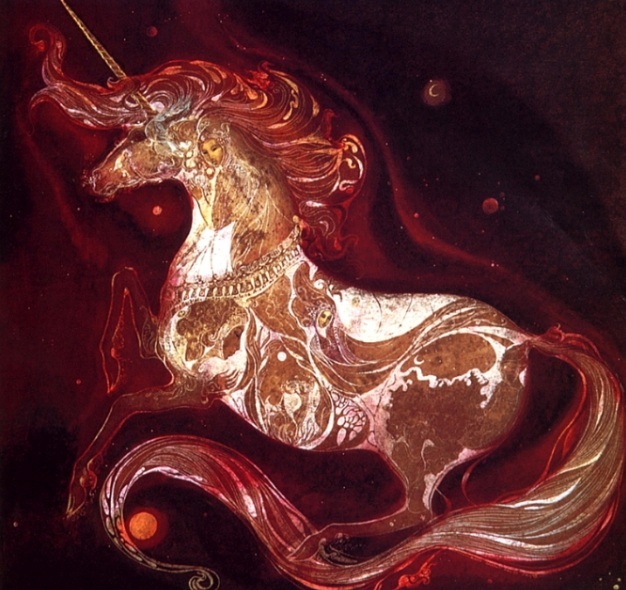 Much of Boulet's work from the 1970s pictures cheerful images from fairytale and fantasy-jesters, knights, mermaids, magicians, and the like-executed in rainbow-bright colors. 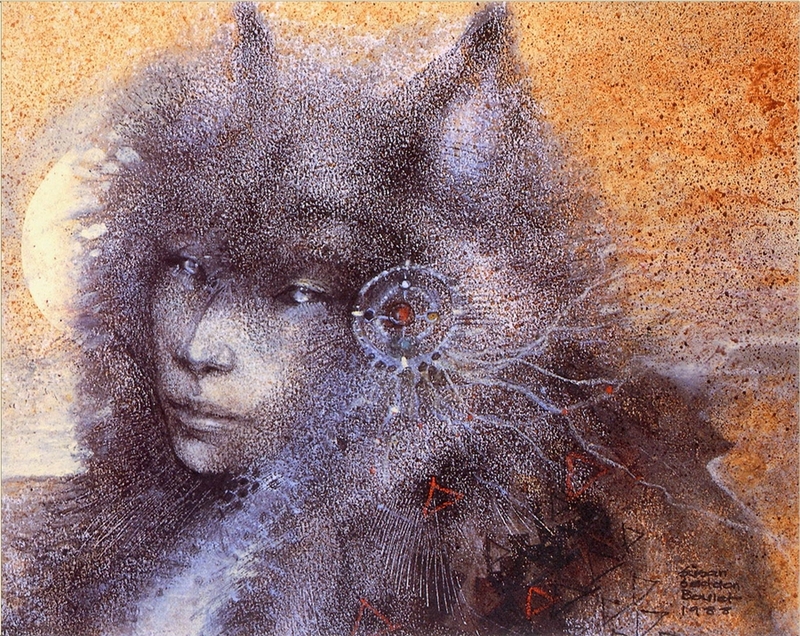 Around 1980 Boulet produced 'I Heard the Owl Call my Name', the first in a series of paintings that pointed to a new direction in Boulet's work. 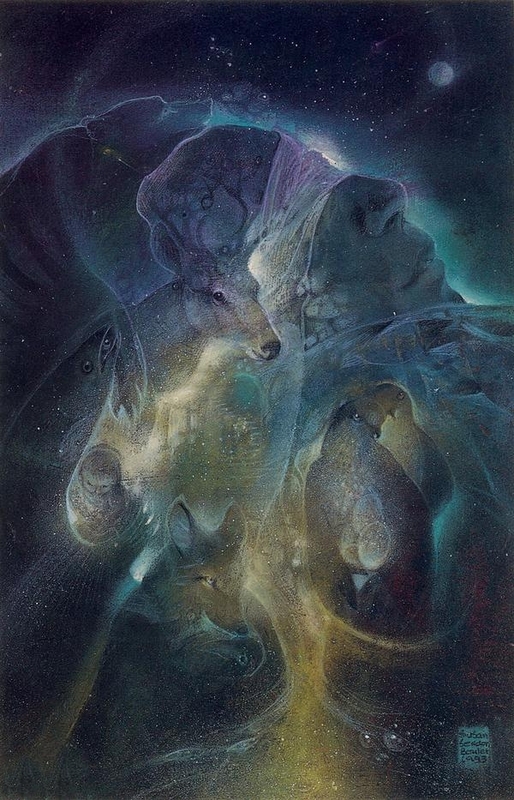 From this point on, Boulet painted images that she felt tapped into the essence of the collective human unconscious - images of goddesses from various cultures and Native American shamanic images that married the forms of animal and human into a coherent whole. 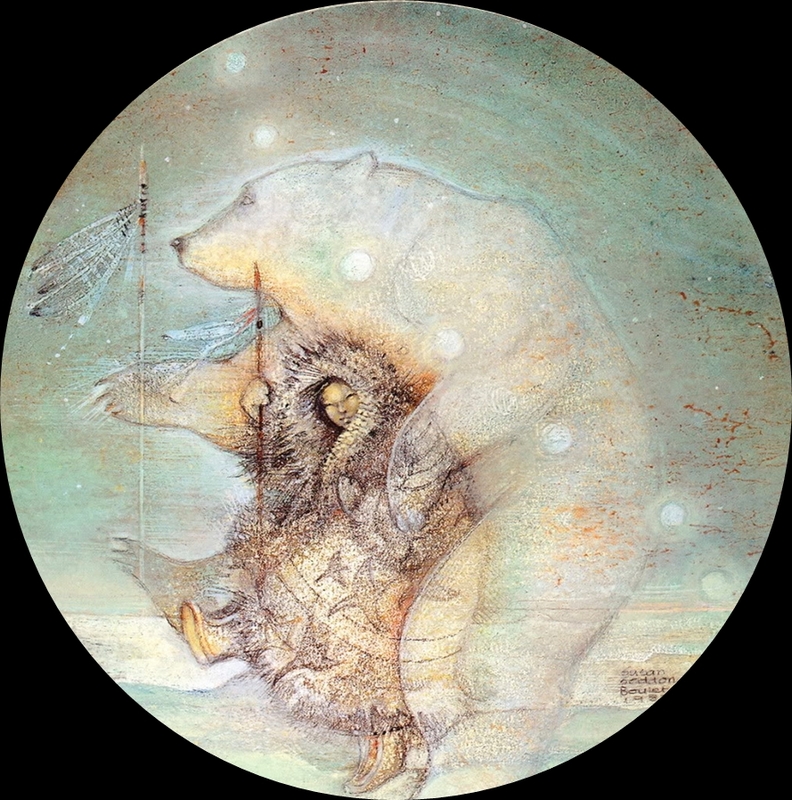 Boulet drew the inspiration for her art from a wide variety of sources: mythology and poetry, Jungian psychology and worldwide spiritual traditions, as well as deep love of animals and the natural world. 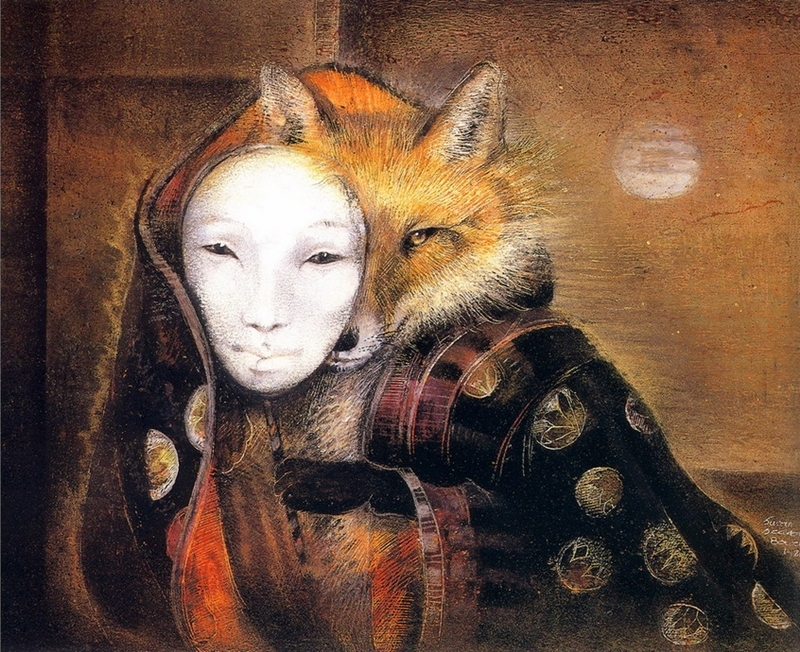 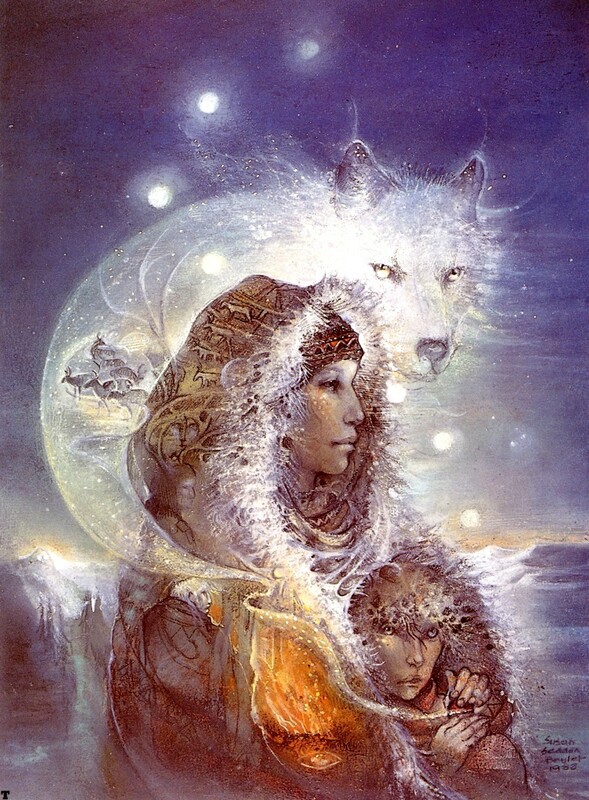 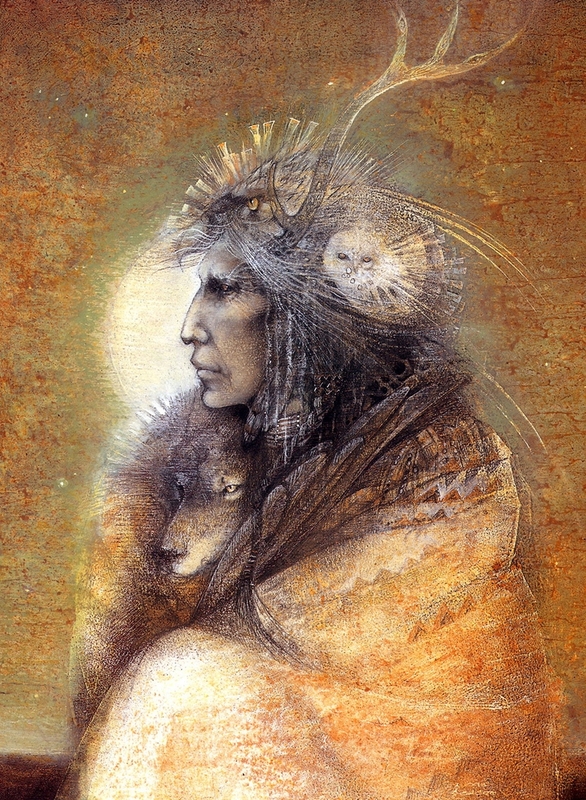 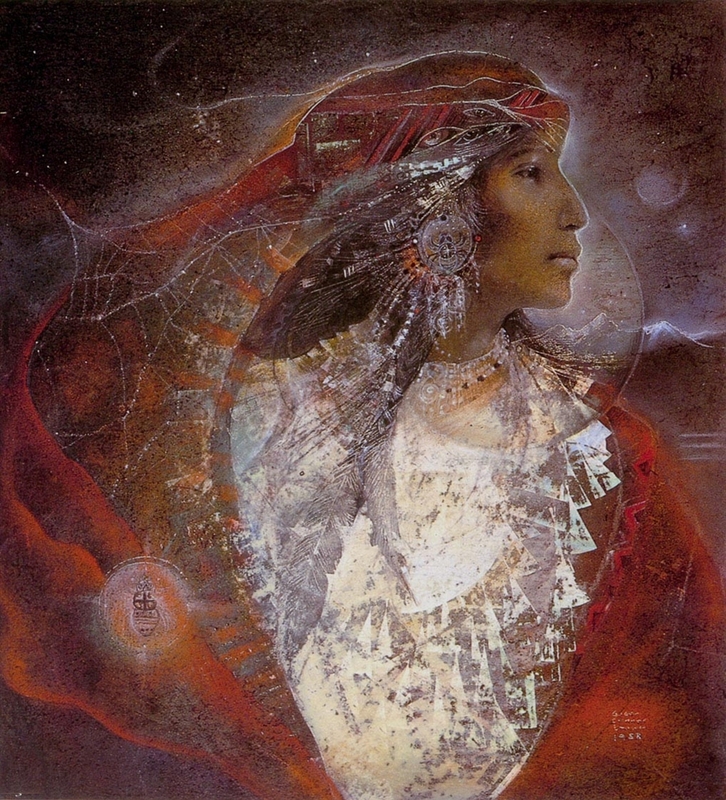 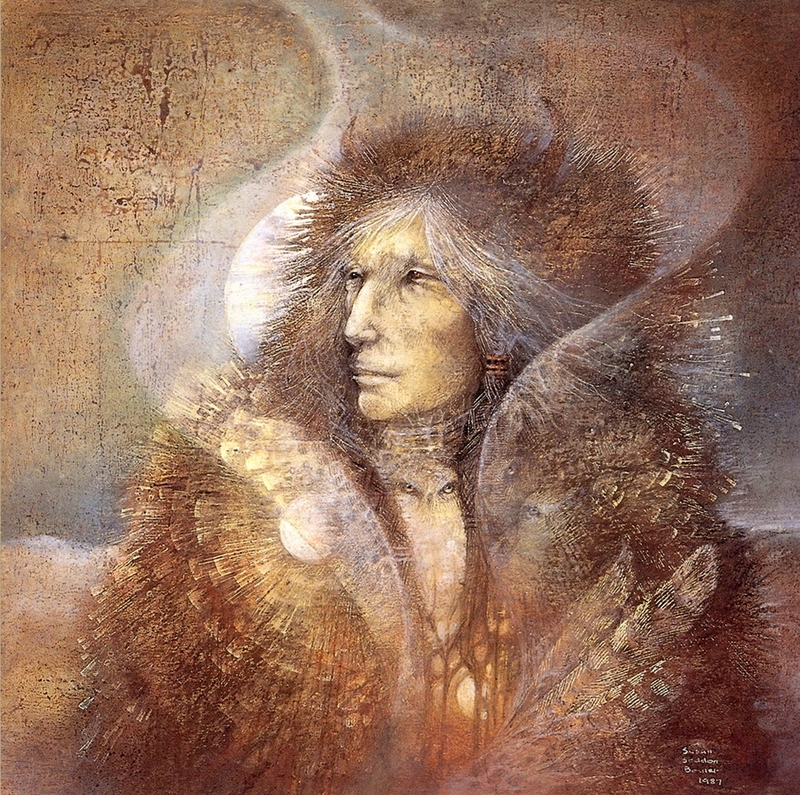 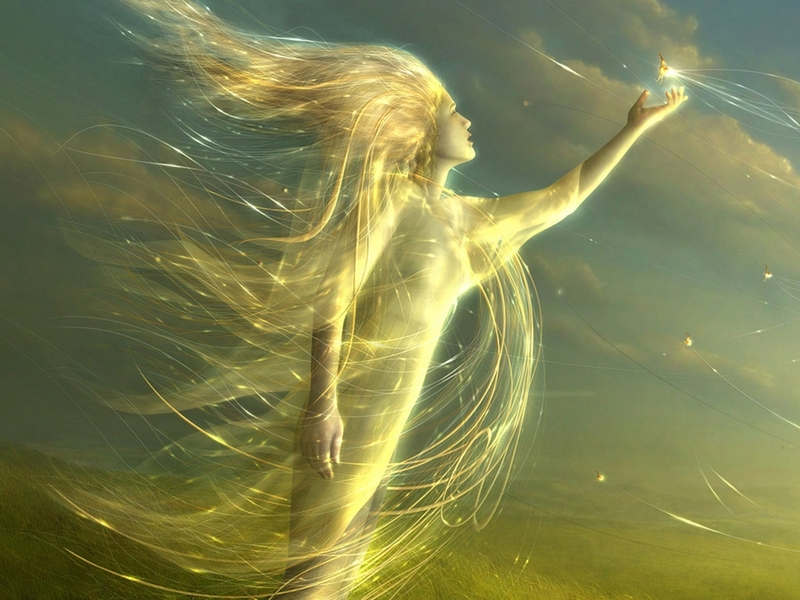 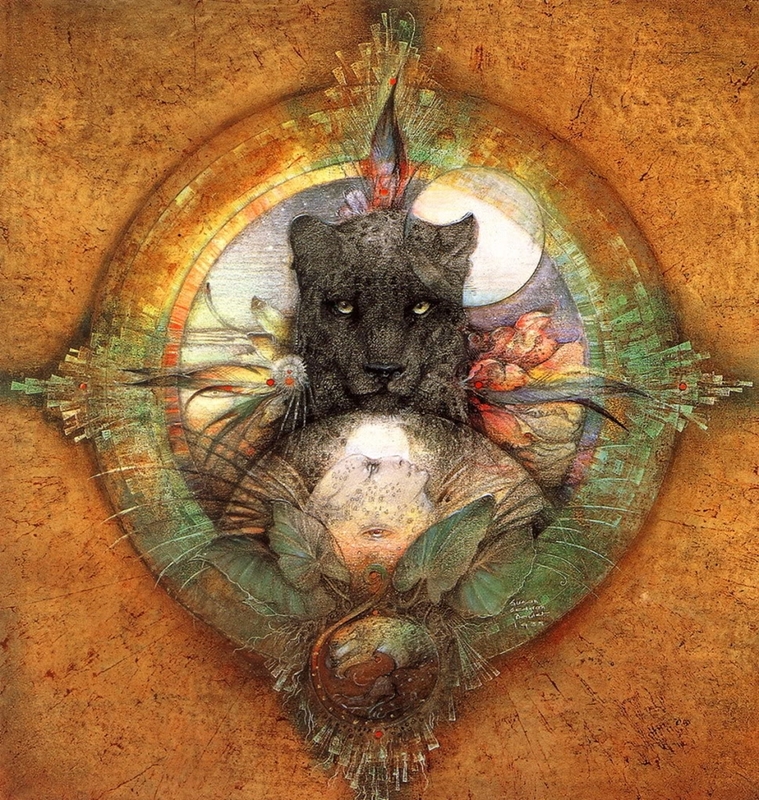 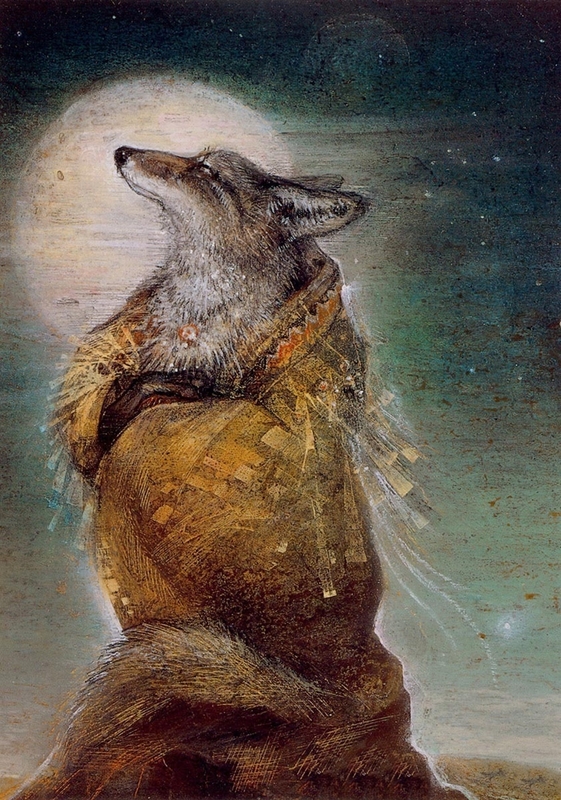 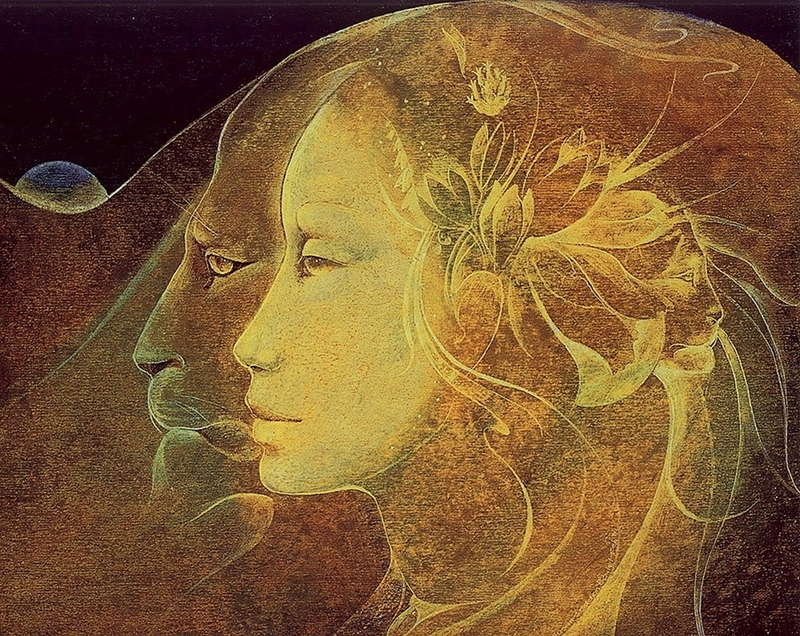 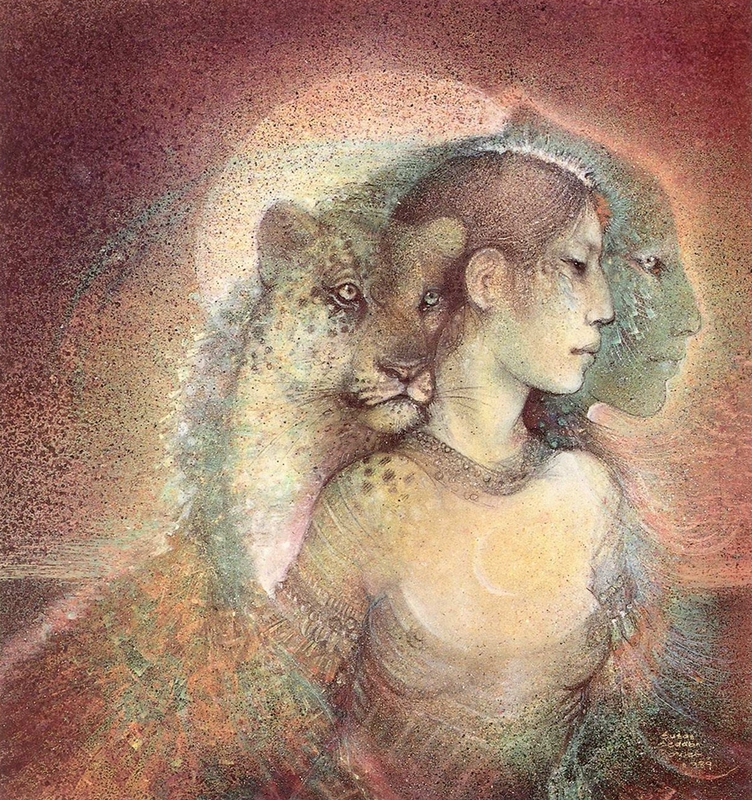 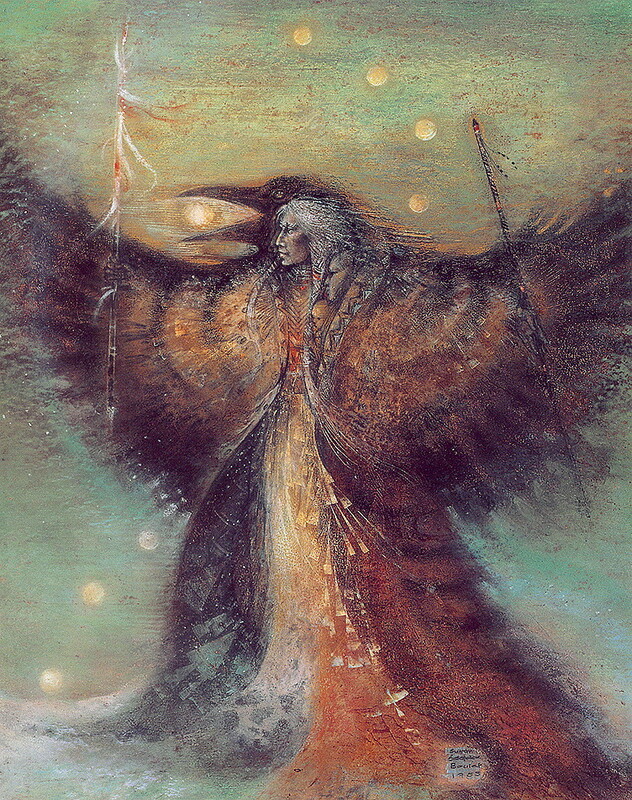 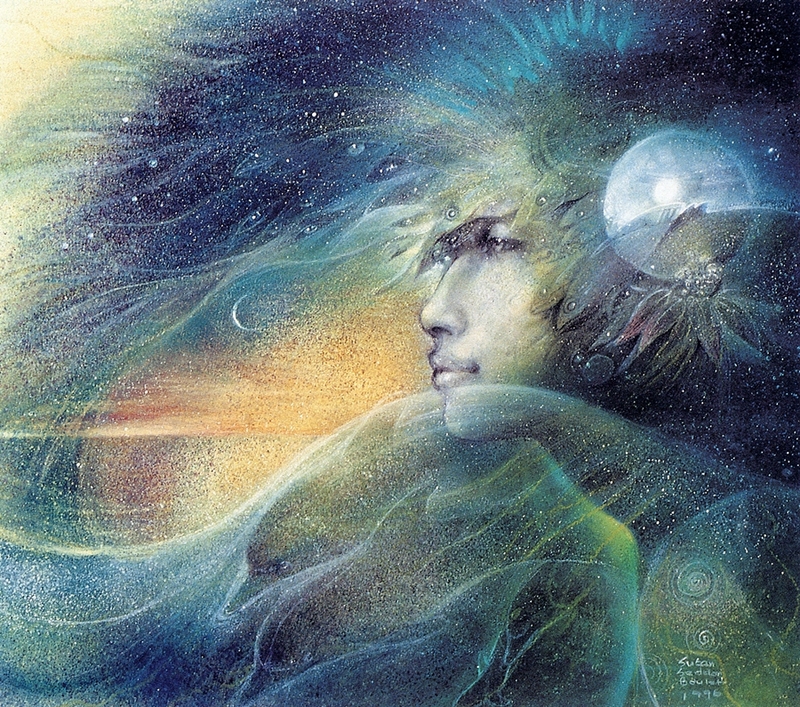 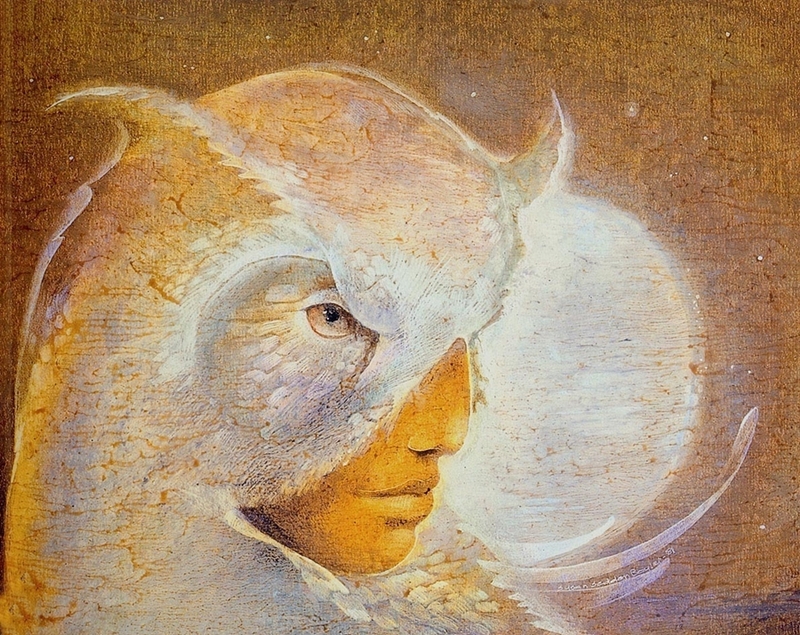 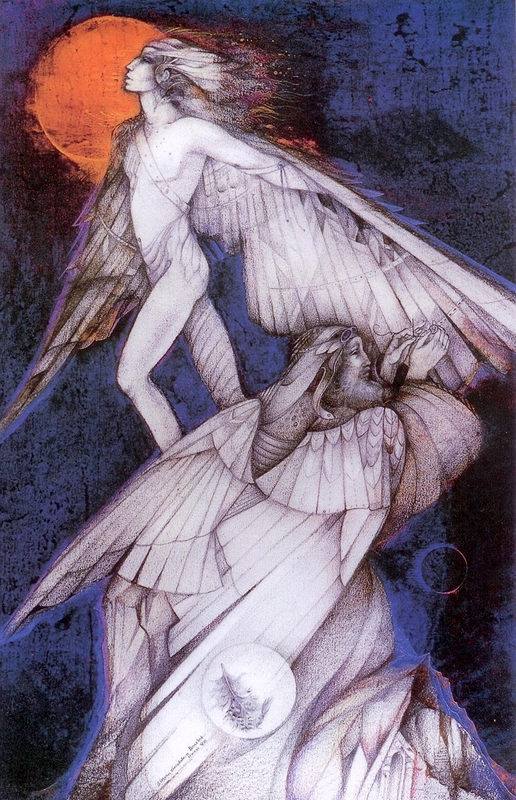 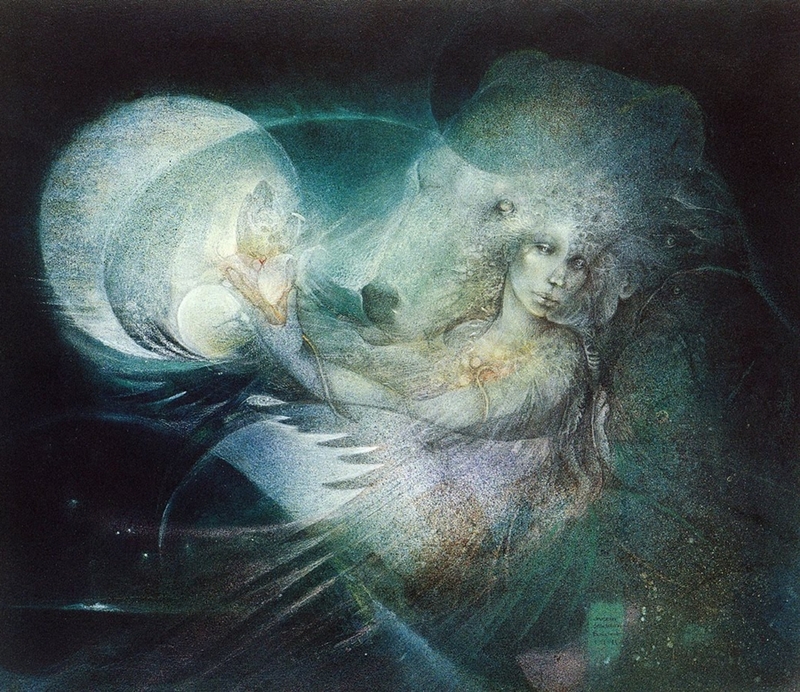 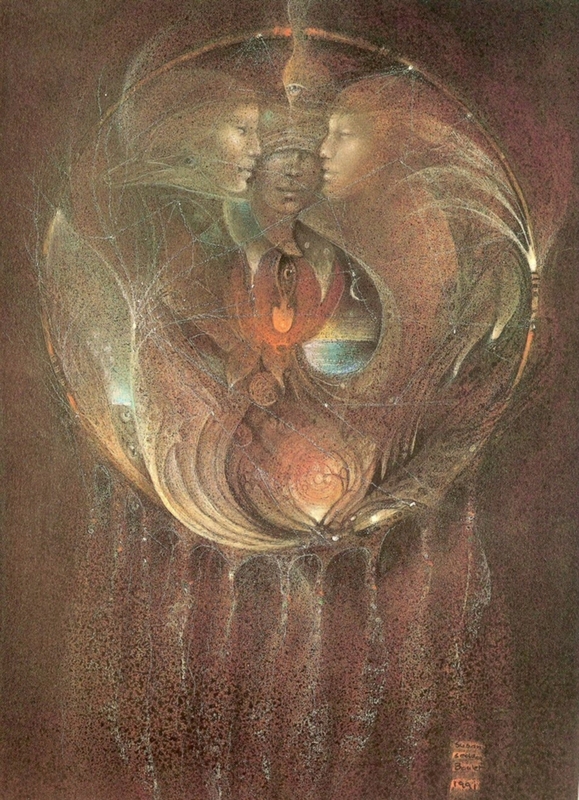 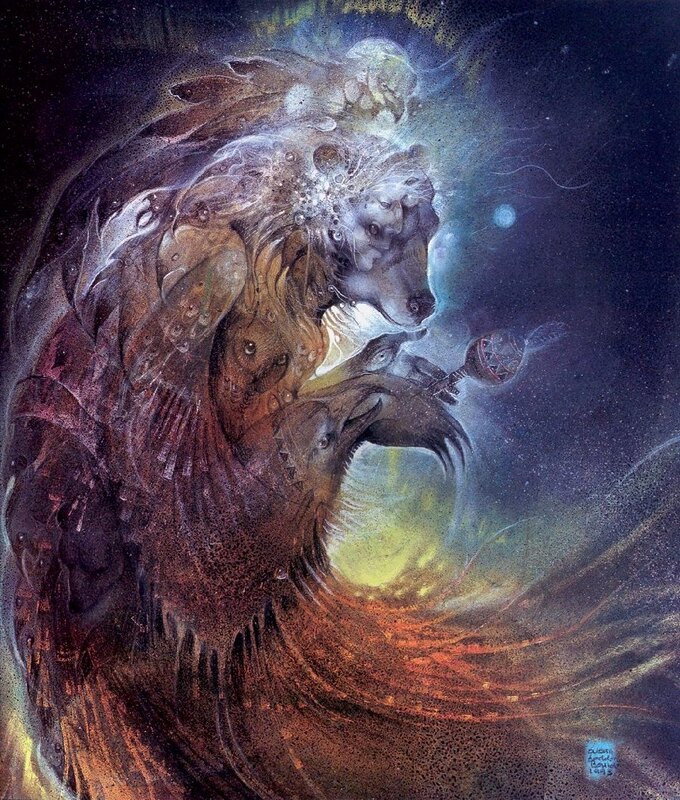 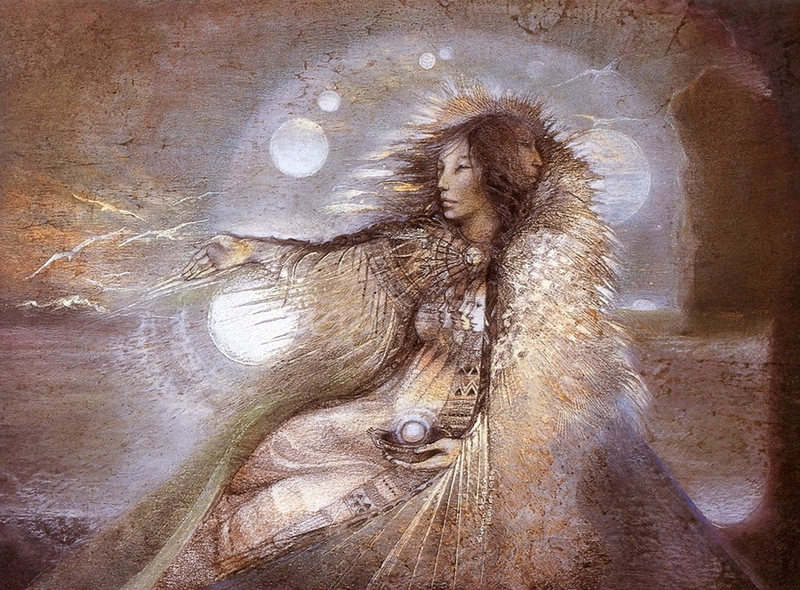 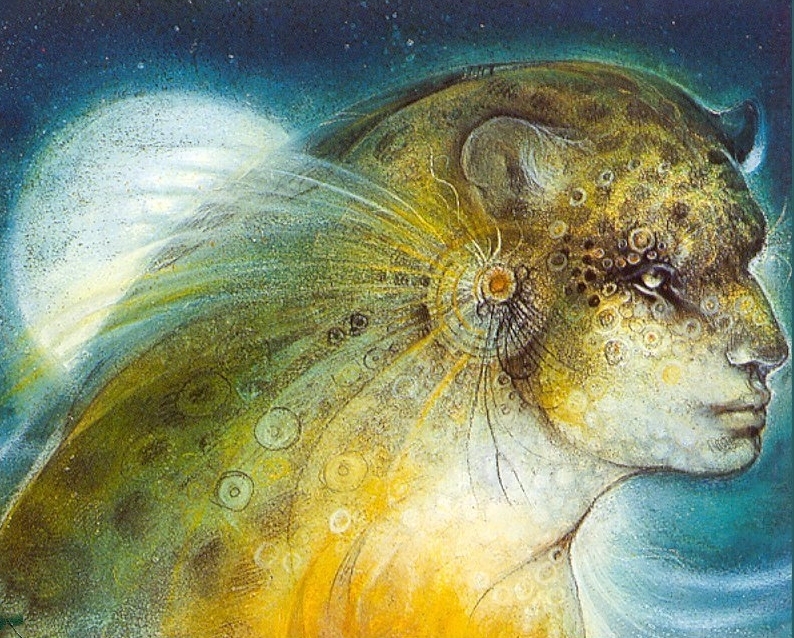 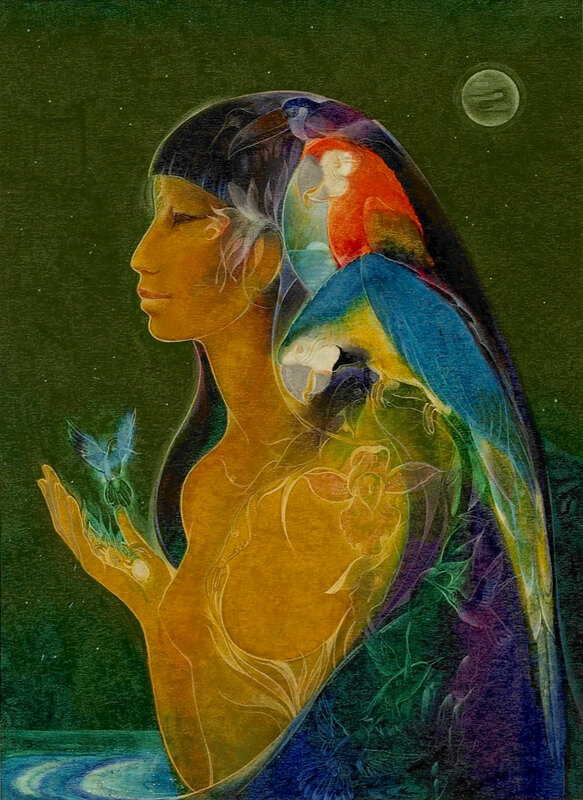 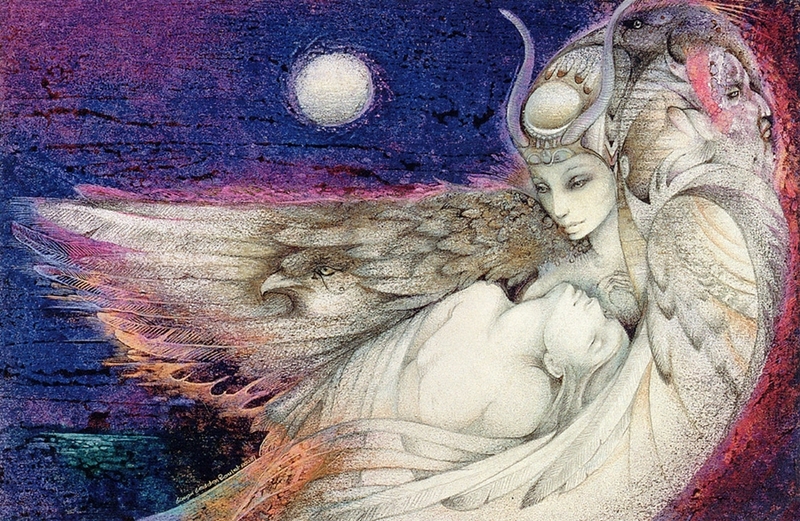 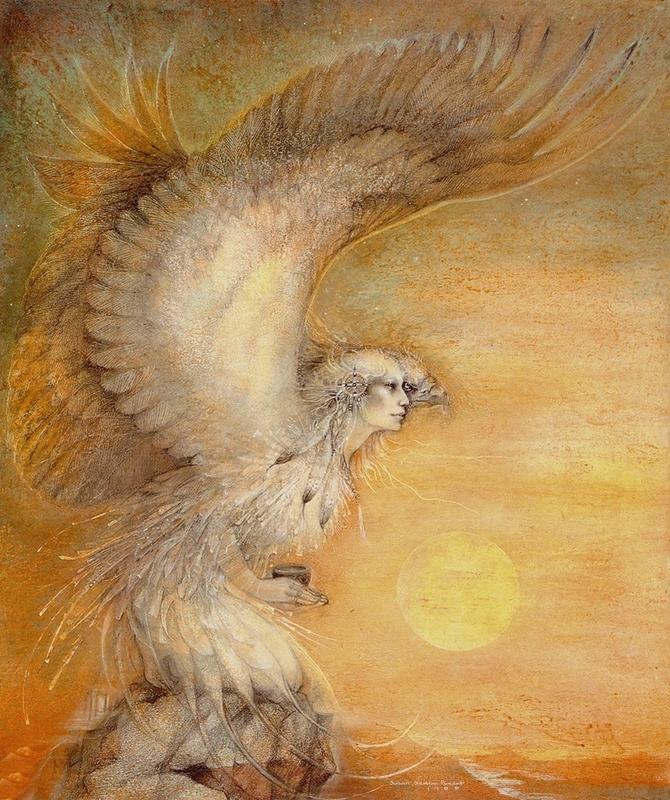 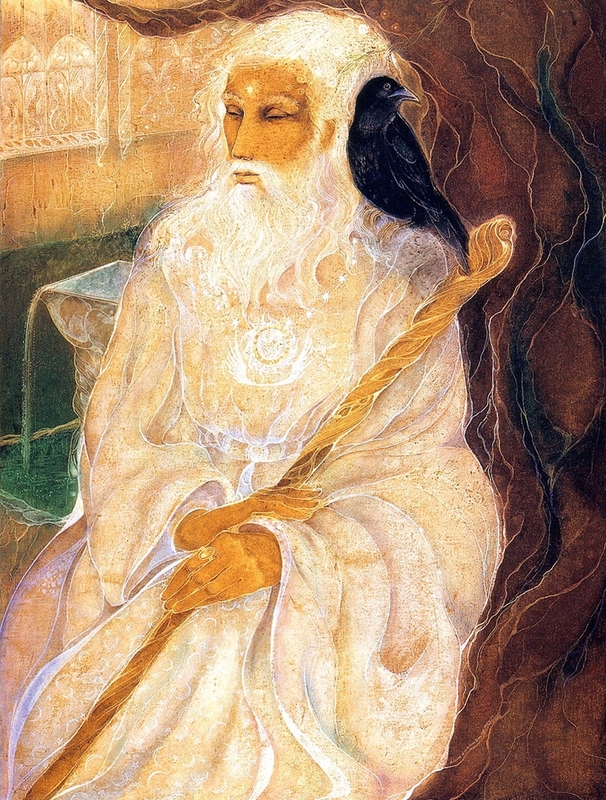 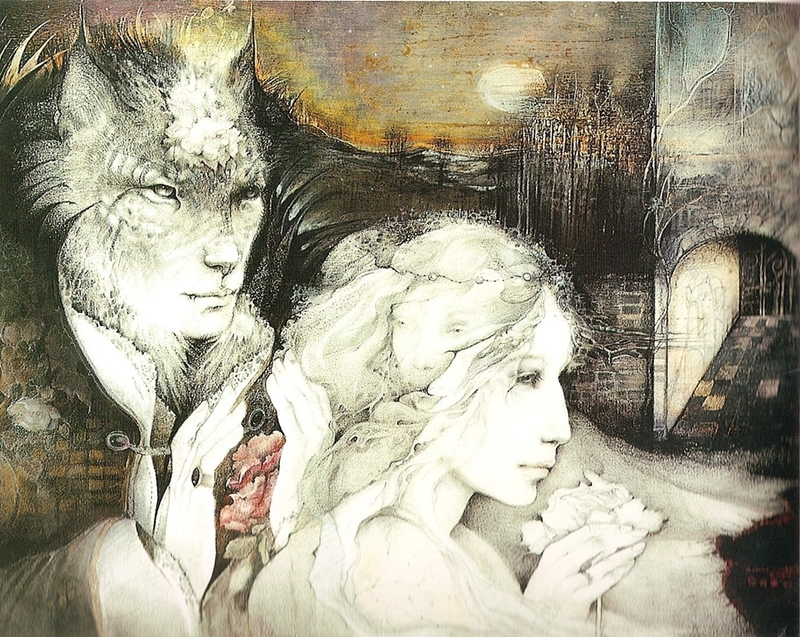 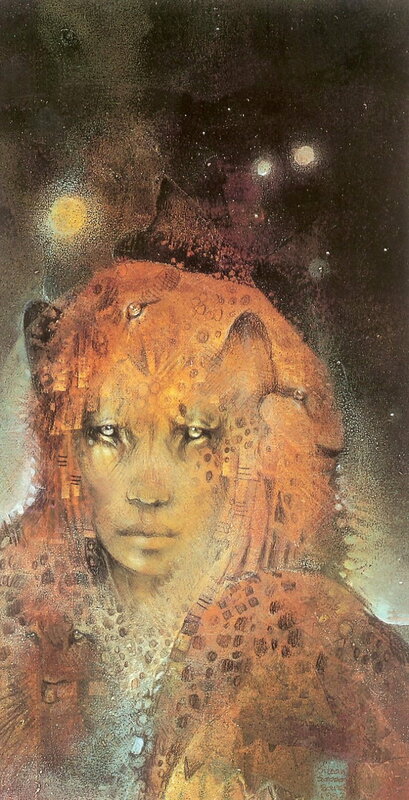 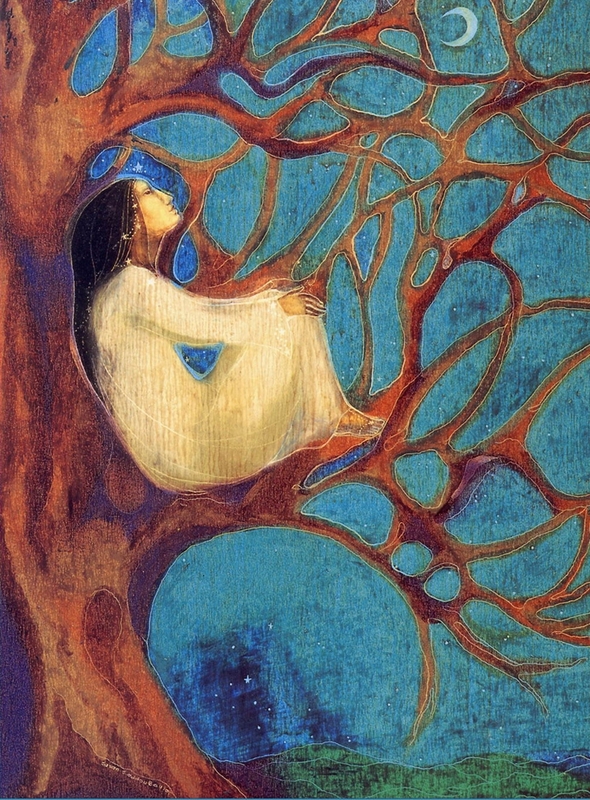 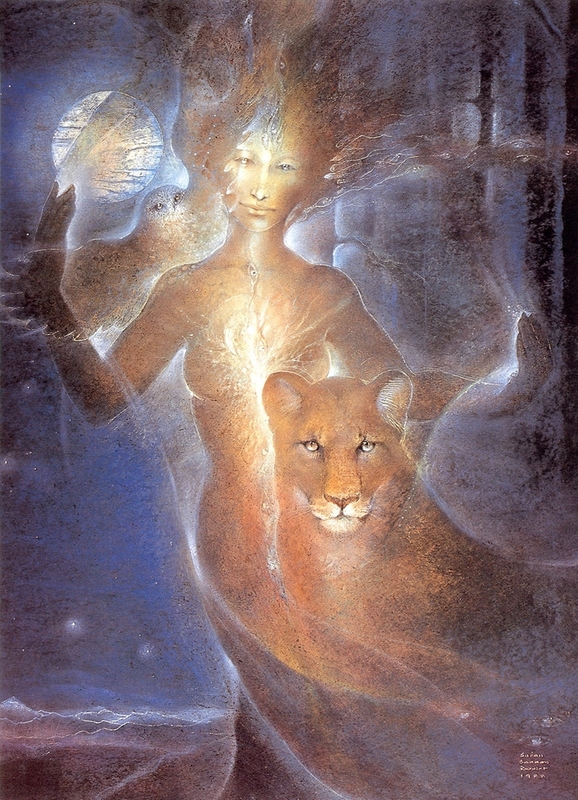 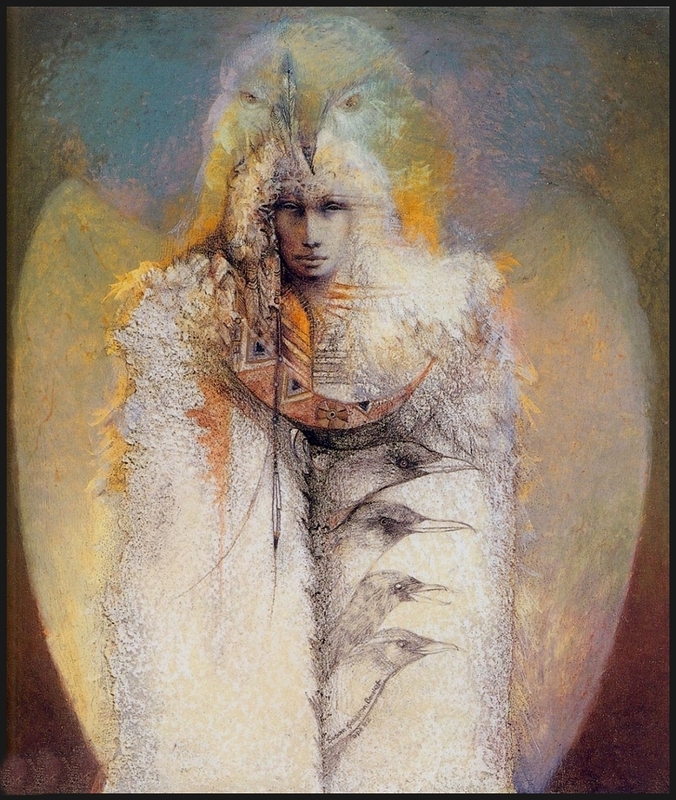 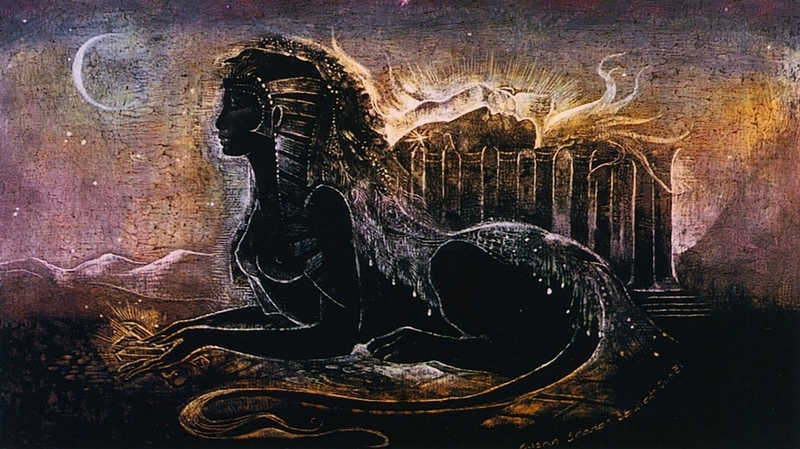 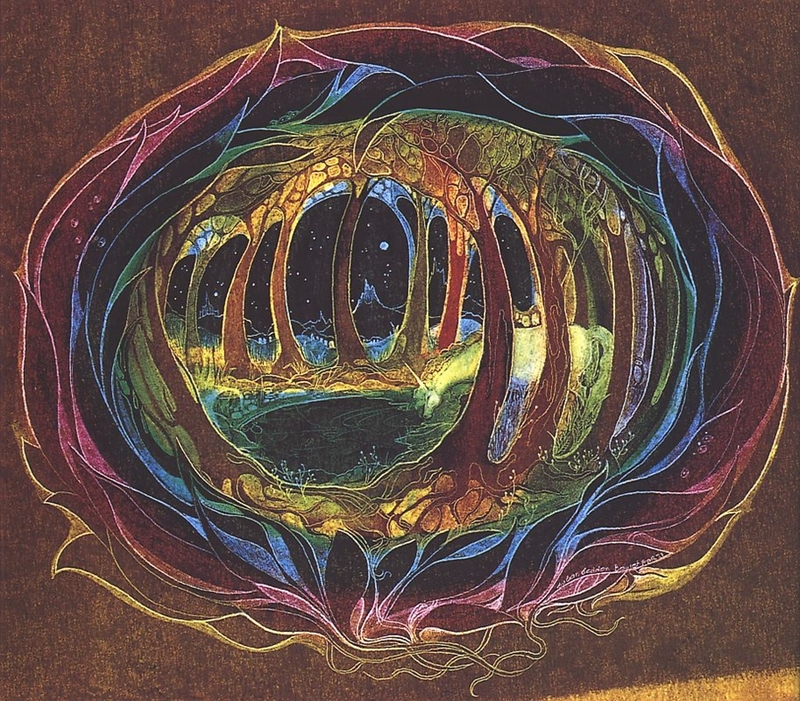 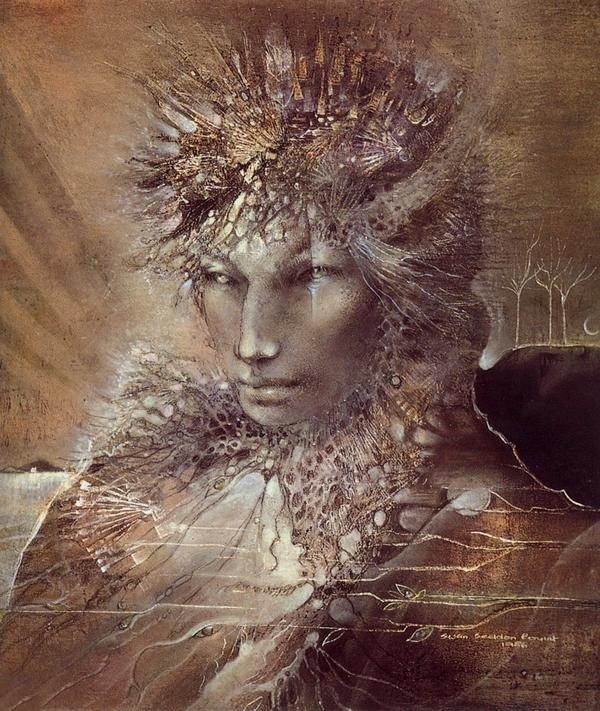 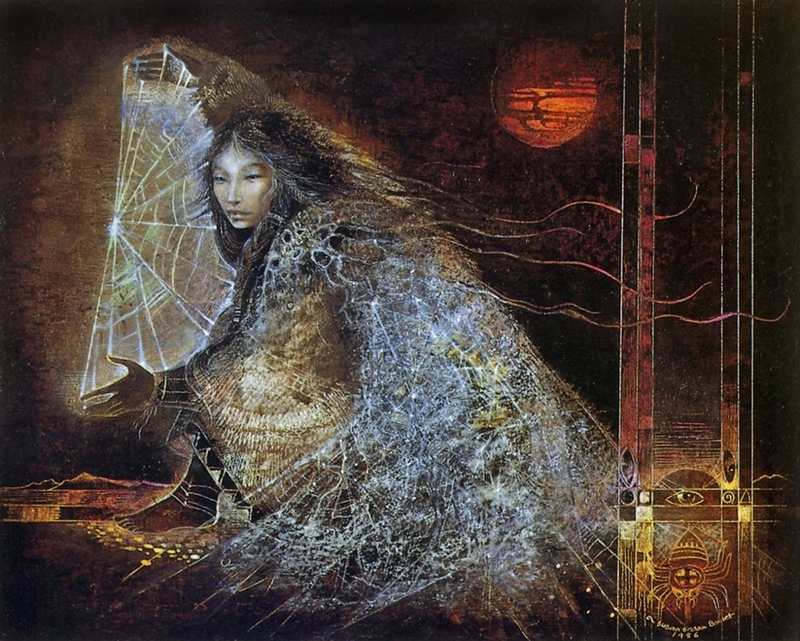 Today Susan Seddon Boulet's paintings are held in collections around the world. 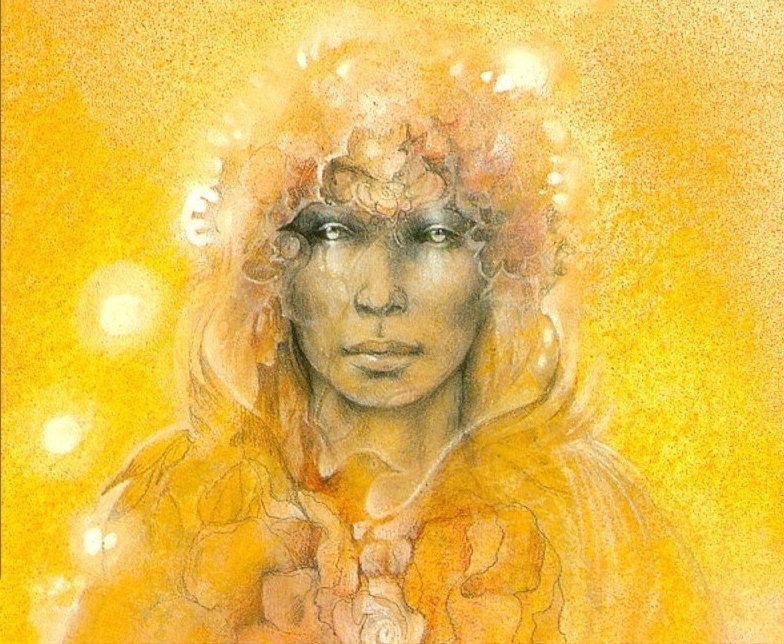 Susan Seddon Boulet died in her home in Oakland on April 28, 1997 after a long struggle with cancer. 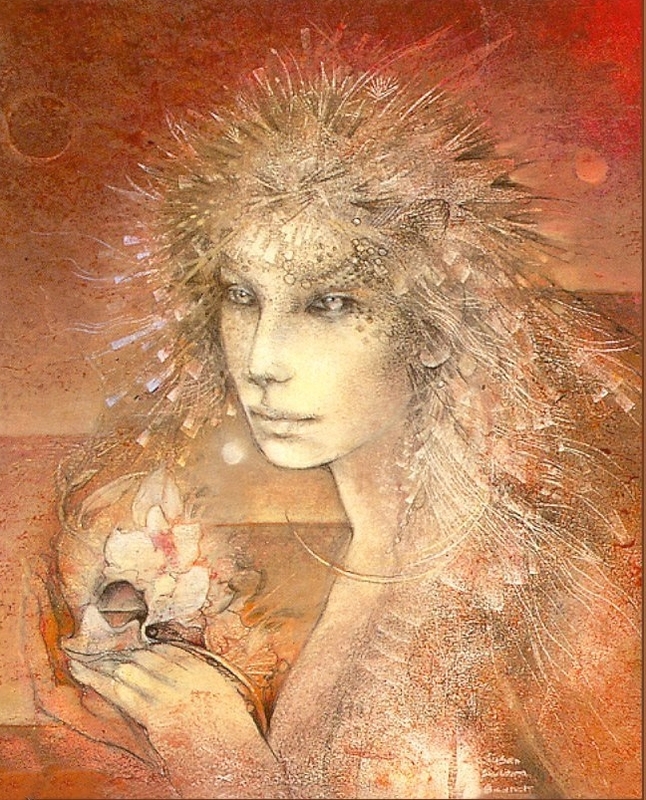 She was fifty-five.